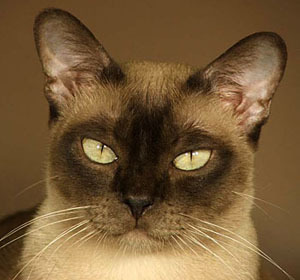 I am from Burma where those Burmese cats come from. 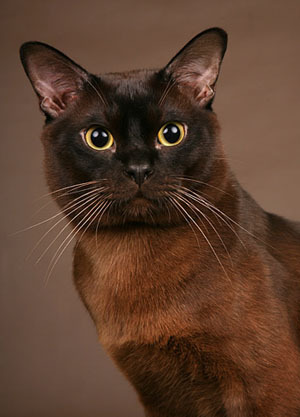 I don’t think the cats that they are claiming to be Burmese do not look like the cats in my country. 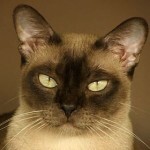 In fact, the cats in Burma look a lot more muscular and taller and longer than the ones in the U.S. And yes, those real Burmese are intelligent and lovable like most of the cats are. I forgot one thing about those Burmese cats. 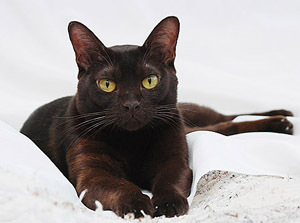 They have very short and silky hair and I never saw my kitty (yes, he passed away 11 years ago) had a hair ball problem. He could caught the sparrows, doves, and crows flying out in the air. We couldn’t eliminate his hunting behavior even though we tried all the time cause we didn’t like killing animals which might sound silly for some people. 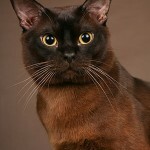 I have a male Burmese Simese cat. He is a very beautiful and loving cat. I cleaned his cat litter box but he makes messes on the floor at night and I was wondering what I could do to fix the problem. We had a Burmese boy called Sampson walk in to our house a few years ago. He was an absolute joy. We did return him to his true owners but within a week he was back and he never left. He was a prolific killer of squirrels, mice, rabbits, pigeons, pretty much anything that came into the garden and he was unstoppable. He used to leave his old home and live off of the land for 6 months, then go back home. Once he came to us though, the long hunting expeditions ended and he stayed within our grounds and kept the rabbit population in check. Regarding cleanliness, at first he wasn’t and would regularly pee on us in bed, but this was out of nervousness as we had other cats. Fortunately, this phase passed and he became one of the family that we loved enormously. 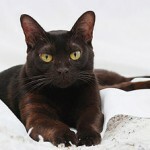 Burmese are the friendliest breed of cat I have encountered and I wouldn’t want a life without a Burmese friend in it. Sadly Sampson passed away at almost 17 years old, but we took in 2 Burmese brothers a time afterwards who had been discarded by their despicable owners after 8 years of ownership. 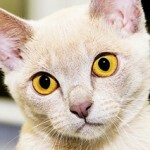 I would strongly encourage anyone looking for a puss to consider Burmese; they are devoted, beautiful and great characters. Very elegant, loving friends. 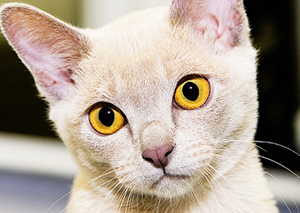 If people were more like Burmese cats, it would be a much nicer world.